Throughout the Sacramento Area, there are a wide variety of companies that offer to build pools for you. Many of these companies offer services that are substandard and quite honestly, are not worthy of your attention because of the difficulties that can arise when you use them. That is not the case, however, when you use Sac Pool Pros we are insured and bonded for your protection, we also offer a professional service by uniformed employees, lettered trucks and the quality services that you deserve. What other benefits we you have when you use us? First of all, we are in no way a fly-by-night company. Unlike many of the other pool companies in the area that are here today gone tomorrow (usually without completing the project), we have been in service for more than 20 years. During that time, we have established a reputation for providing a customized experience for our customers. This is not only true in the quality of the work that we provide when we are doing any project in your yard, it is also true of the quality of the products that are offered, from the pool finish to the unique features that may be provided. Additionally, you will experience many other benefits when you use us for your outdoor living environment. After all, we are not only a pool design and construction company, we offer a wide range of services to our customers. Regardless of whether you need a pump installed or weekly pool service we got you coverd. Although we can talk about the services that we provide all day long, it is always best if you hear a testimonial from an existing customer that has used our services. 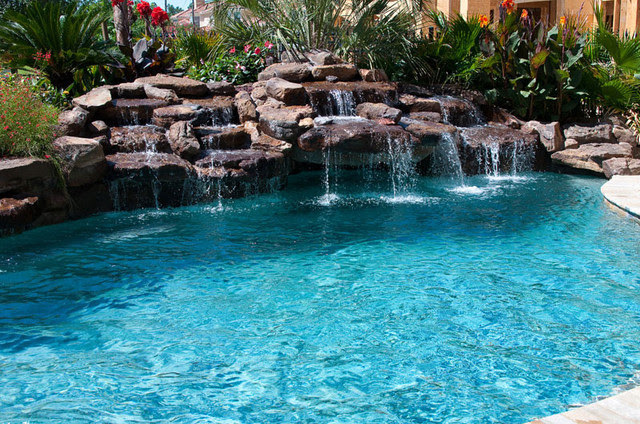 "I live in Folsom and I had been interested in having a customized pool built on my property. I found a company that was in the local area who offered a discount service and after talking to them, it seemed as if they were going to provide me with what I need. Was I ever wrong! After 10 months of having my yard complete torn apart, they ended up abandoning the job. At that time, I contacted Dave at Sac Pool Pros and they were able to come in, fix the issue and have my yard in shipshape within just 30 days." If you would like to experience the benefits that Sac Pool Pros has to offer, you can contact us today. We would be more than happy to assist you in providing you with the information that you need so that you can move ahead with your outdoor project using a professional service.